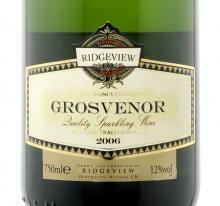 Continuing its ability to turn heads as it evolves, RidgeView's Grosvenor Blanc de Blancs 2006 latest bit of silverware is the International Trophy for sparkling wine over £10 in the 2010 Decanter World Wine Awards. The first international trophy to go to an English wine, the Grosvenor beat off champagnes at three times the price, not to mention 100s of other sparkling wines from around the globe. Winner of double gold in the 2009 Great Taste Awards – the drink equivalent of a Michelin Star – Riggwelter from the Black Sheep brewery is a rich tipple, with the aroma of roasted coffee and a complex palate and classic Goldings hoppy flourish on the finish. Developed specially for Wetherspoons by Denbies as the English contender in its World Cup Wine Festival for the summer of 2010 – it was all World Cup countries – this fruity yet crisp wine is slightly off-dry and swathed with the characteristic red cross on white of the English Flag.